The Blog of Thog: Cloned - coming soon! Tomorrow I should have a new video up on YouTube, introducing my evil twin Joel. I've been playing around with my new camcorder, and after a lot of mucking around, firstly with various freeware video editors (none of which I found were up to the task - sorry!) 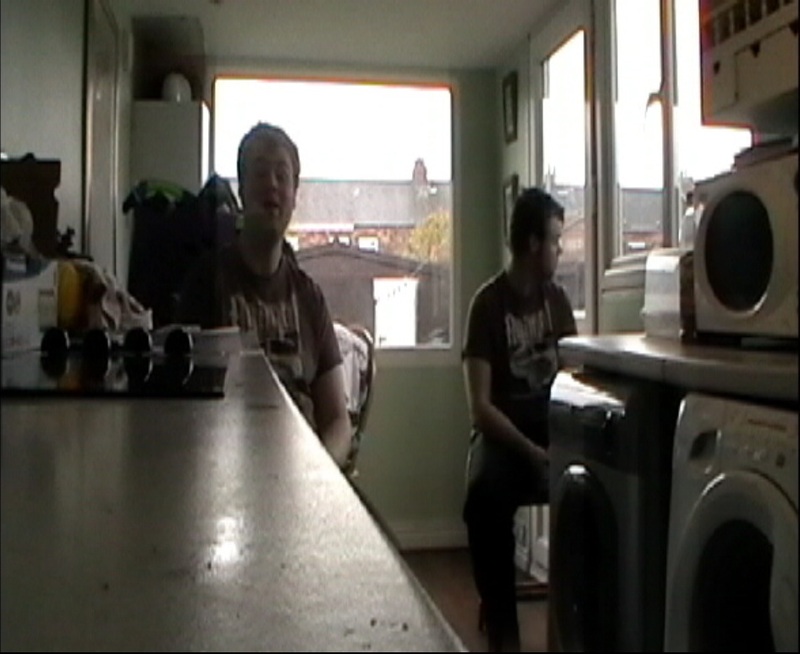 and then with a trial version of Adobe After Effects CS4 I've succeeded in cloning myself. It's a bit of a new departure for me, I do have a tendency to go for the quick solution but I've had to learn some new stuff and be patient to get this done, and I think it's good overall. A taster of what is to come! The actual quality of the video isn't fantastic, do be aware, but the cloning effect itself is pretty good and it isn't too obvious where the join is. I hope to improve with my future ones as I learn how to work the camcorder and the software. Anyway it's going to take about 3 hours to upload to YouTube so I'm going to do it when I go to bed, I'll post the link tomorrow. Or if you can't wait, check out my YouTube channel in the morning. Birth of the Federation update - the Federation and the Cardassians were a bit silly and declared war on me. Since then I've crushed both the Klingon and Federation fleets (admittedly losing almost all of one of my fleets in the process, but the ships that did survive are now very experienced in combat and therefore even deadlier and tougher to kill) and given the Cardassians a bloody nose. The Klingon homeworld is under my control and I'm finishing them off before I turn my full attention to the Feds and Cardies. Long live the Ferengi Alliance!